Please keep Hiba in your prayers. A young Sudanese Christian teenager who was kidnapped, sexually assaulted and physically attacked over the course of one year is praying that her former captors, a gang of Muslims who tried to force her to convert to Islam, find mercy. After escaping last July, she says she is praying that Jesus reveals himself to her assailants, and "forgives them for what they did to me," reports International Christian Concern. Hiba Abdelfadil Anglo says she escaped from them with the help of God who did not want her to suffer any more (for more information on her kidnapping, click here). "I want to thank God who saved me from the hands of the abductors," said Hiba just two months after she escaped. "I also thank God for all believers all over the world for their prayers for me and my family. It was because of your prayers that my situation changed." Please pray that Hiba's physical and emotional wounds will be healed and that she will succeed in her studies and grow in her faith. 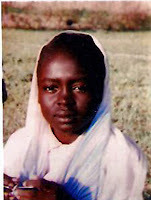 Please pray that her captors' knees will bend before Jesus, and that they will turn to the one true God in repentance. Pray that God will strengthen and embolden the Church in Sudan. 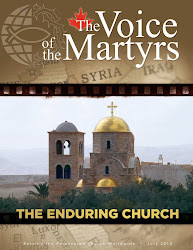 To post a prayer of solidarity with Hiba, please visit our Persecuted Church Prayer Wall. To learn more about how Sudanese believers suffer for Christ's sake, visit the Sudan Country Report.